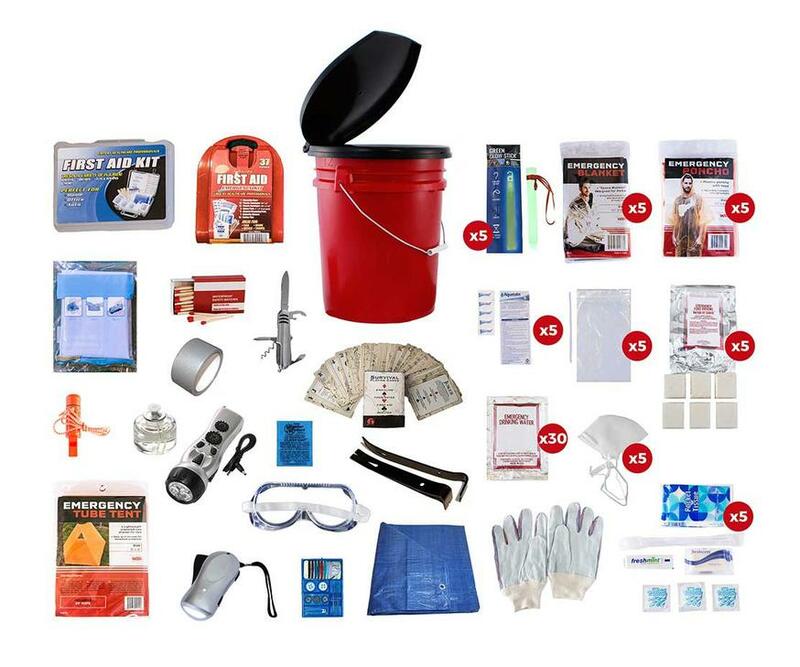 All items are packed securely in a 5-Gallon Bucket with Toilet Seat Lid. Individual components are placed in waterproof bags and neatly organized in the bucket for easy access. Hand-assembled in the USA. Shelter and Warmth: These items can be useful when you need help with navigation, transport, personal protection, or shelter. Other: Survival Playing Cards – 52 cards with valuable survival skills that will educate you in an emergency situation as well as keep you entertained.